Our ecologically and educationally focused hiking experience is geared towards a mix of adventure, education, nature and ecology. Excellent for individuals, Nature lovers, birdwatchers, or even large groups, people of all ages will enjoy this adventure because of its variety, options and bio-diversity. 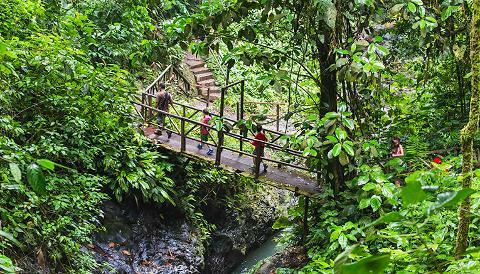 Hike through partly shaded paths carved directly out of the primary Costa Rican tropical jungle as you explore with your bilingual naturalist guide. 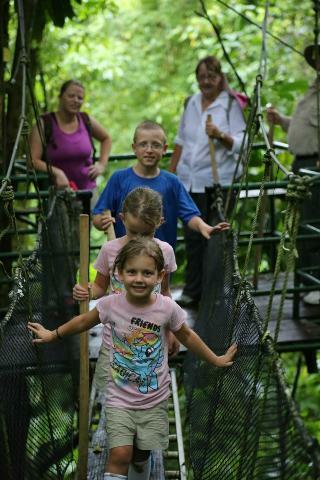 Explore the exotic plants and wildlife of the mountainous jungle so close to Manuel Antonio National Park. Personalized, and relaxing experience. Enjoy swimming in one of the pristine cool water natural pools along the trail. If you desire to take a leisurely stroll or hike through our secluded, protected habitat, which is an excellent location for you to discover the bio-diversity and delicate balance between preservation and eco-tourism, yet leave with new knowledge of how you can extend the experience to others when you return home. The pace of this adventure is determined by your skills and interests, and the abundance of wildlife you want to stop and observe – all in its natural habitat. Watch several species on the Rainforest trees, hunt for nocturnal silky anteaters and several types of non-poisonous snakes resting in the tropical rain forest, and listen to the songs of the various birds as they glide above your group curiously looking for adventure. 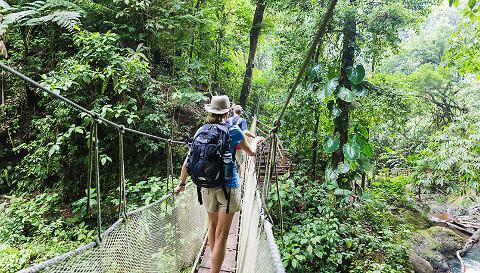 Hen relax and be gently guided by well-educated, bilingual naturalists as they take you on a leisurely hike to explore and discover the diverse tropical rain forest that Costa Ricans so desperately try to preserve. 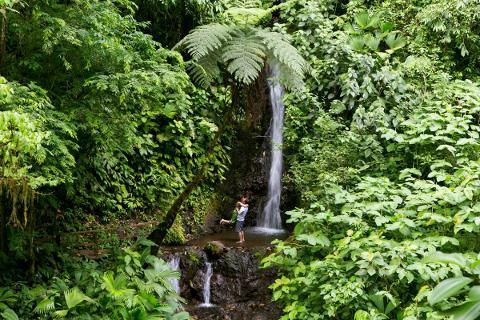 Come for the experience, stay for the safe adventure, and sample the jewel of our country – our exotic tropical rain forest. 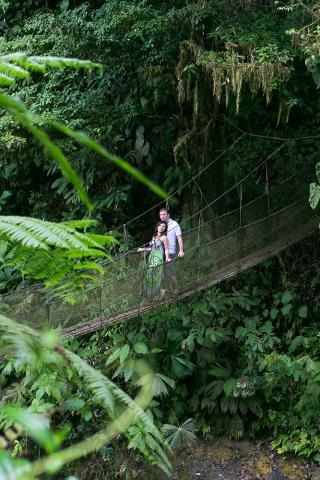 We have, as the Manuel Antonio specialist, many options to taste, learn, observe and experience our bio-diverse jungle environment.